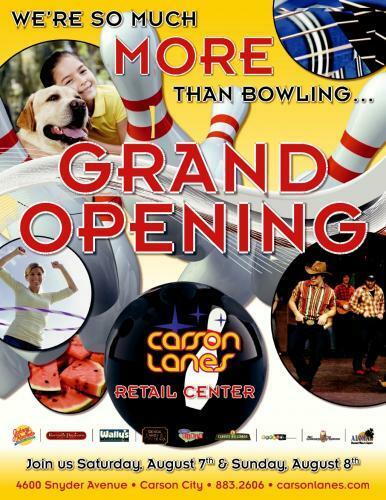 Huge Grand Opening planned for Carson Lanes Retail Center on August 7th & 8th. Carson City's Favorite Local Band, BAD INTENT, to play @ 7:30pm in the newly remodeled Eleventh Frame Winner's Lounge!! 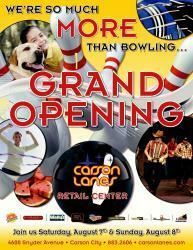 $$ Thousands $$ in FREE Prizes! !